Jason Kravitz (Brussels, Belgium) on 10 February 2010 in Cityscape & Urban. 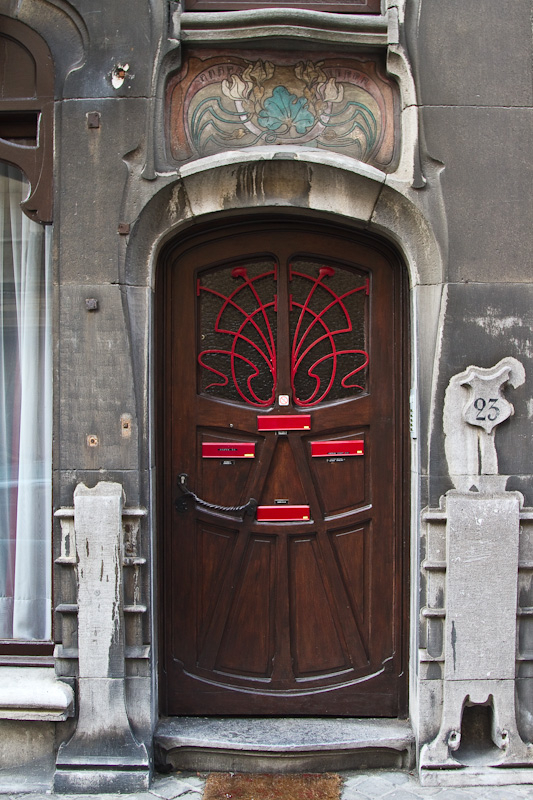 L'art nouveau a ceci de particulier chez nous qu'il porte et glorifie toute notre belgitude ! Great shot Jason...the tones and textures are wonderful! That is one cool place. The door is amazing! As ornate and beautiful as this entrance way is, I am struck by that welcome mat. It's a great detail.